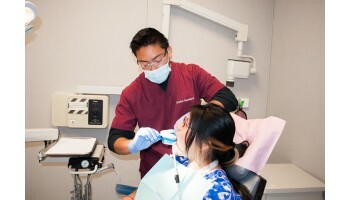 The course will take you through entry-level skills in chair-side assisting, laboratory techniques, and front office procedures including an introduction to computers in a dental office. It also covers a wide variety of duties that support a dentist in the office as well as in specialties, such as, orthodontics and oral surgery. Dental radiology is included. When students meet all the state dental radiology safety requirements, they can obtain a Dental Radiation Safety Compliance Certificate. Upon successful completion of the course, the student will also receive an Infection Control Certificate. Day classes may include externship in a dental office. Tyler N. has successfully found employment as a Sales Representative after completing course(s) in Fashion Design. Stephanie S. has successfully found employment as a Dental Assistant after completing course(s) in Registered Dental Assisting.